Sensors: photoreceptors, thermal sensors, electromagnetic sensors (detection of active electronic devices). No bigger then a human fist, this ball-like droid is used for spying, mapping, battlefield reconnaissance, or correction of artillery fire. 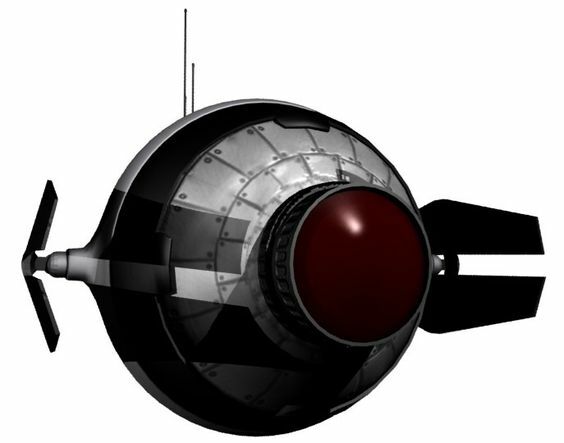 When launched and left to itself the droid will fly around in the radius of 500 meters from the headgear and record the surrounding area, making a 3-dimensional holomap of the location. It can detect living beings with infrared sensors and active droids or machines using electromagnetic sensors. Everything the droid sees it can transmit to the headgear. With its miniature repulorlift and gravitational stabilizers, the SM-11 is able to fly at 70 km/h and break from full speed to a full stop in 2 seconds. It has a top altitude is 100 meters. However, its other features limit its power supply to 30 minutes.